Do You Hang Yours This Way? A rope around the neck or a gambrel through the Achilles tendon — that’s how most hang their deer. Walk into any well-respected steakhouse locker, though, and you’ll see beef hanging completely different. The ideal way to hang your ungulate for aging is using a technique called the tenderstretch method. The tenderstretch method is done by placing a hook beneath the pelvic hip bone or below the ligament passing along the backside. When done properly, the hindquarters of your deer will hang at a 90-degree angle. So, why is this method superior? It all comes down to rigor mortis. When a deer is hung by the neck or Achilles tendon, gravity pulls on the hindquarters and puts tension on the muscles as they experience rigor mortis. When a deer is hung the tenderstretch way, the hindquarters are relaxed and have limited contraction during rigor mortis. Because of this, the aging process is drastically sped up. Some even estimate that two days of tenderstretch hanging is the equivalent of two weeks of Achilles hanging. You’re guaranteed to notice it at the dinner plate, too. In a blind taste test, the Commonwealth Scientific and Industrial Research Organization pitted beef Achilles hung cuts against tenderstretch cuts on the grill. The panel overwhelmingly scored the tenderstretch meat better in taste, juiciness, and tenderness, especially for the rump roast, striploin, outside flat, and topside steaks. In a similar test with stir-fried cuts, the tenderstretch striploin, outside flat, and topside steaks won again. The only decrease in quality came with the tenderloin, but that’s a little slice of heaven that should be eaten before your deer ever makes it to the locker anyway. The reason the tenderstretch method isn’t more popular is because it’s less economical for butchers. A deer hanging by the Achilles tendon takes up less room in a freezer than one that has its hindquarters protruding out from the body. If you’re doing your own processing, though, there’s no reason to run a knife through the Achilles tendons ever again. Editor's Note: This was originally published October 2, 2017. Are you a deer hunter thirsty for knowledge? 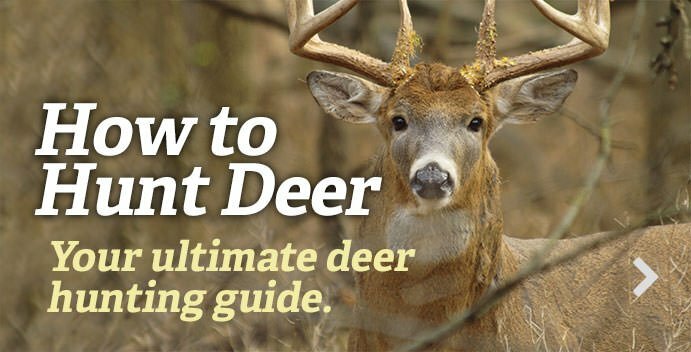 Check out our stories, videos and hard-hitting how-to's on deer hunting.